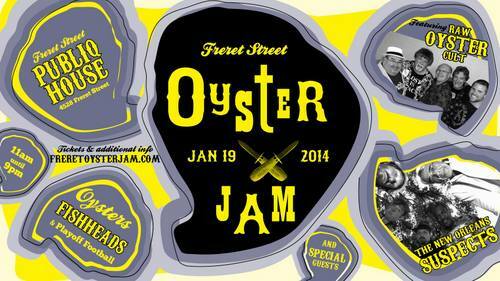 The upstart Freret Oyster Jam will feature at least eight different oyster dishes – “broiled, baked, charred, fried, sauteed, stewed, raw and we’re calling the oyster shooters ‘drunken,'” Ruiz rattled off effortlessly. But he’s buying sacks of oysters and continuing to experiment leading up to the oyster jam, so anything oyster-related could appear on the menu. 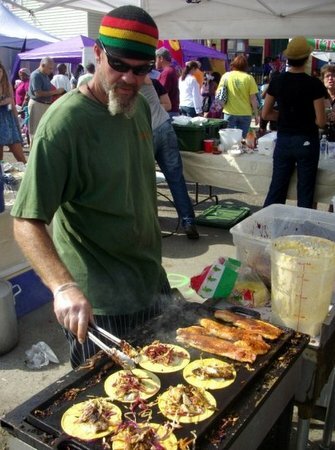 While Ruiz is the event “mastermind,” he has recruited a number of good friends from around the food-vendor industry to prepare various dishes, including the famous Ms. Linda the Yakamein Lady and Jason Seither of Seither’s seafood, which has been a star contender at recent Oak Street Po-Boy Festivals. 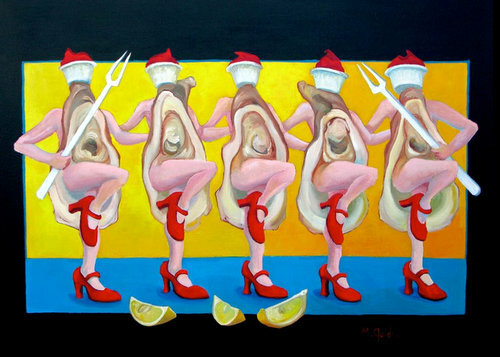 “This is just an oyster cook-it-every-way-you-can-think-of,” Ruiz said (though, for the oyster averse, Brats Y’all will also be serving meat products). Music will be provided by two Radiators’ breakout bands — Raw Oyster Cult (a given, Ruiz said) and the New Orleans Suspects. The Mardi Gras Indian Orchestra will also perform. Tickets (available for $20 in advance at freretoysterjam.com or $25 at the door) cover the expense of paying the bands, and then food and drink will be priced individually at separate booths. Ruiz, a Freret Market regular, is no stranger to Freret — he worked out of the Beaucoup Juice location for four years, he said. Meanwhile, he has long thought the Publiq House parking lot would be the ideal venue for a small outdoor festival. Looking ahead, Ruiz said he hopes the Oyster Jam will become as much a fixture on Freret Street as its other new business ventures. “The one thing Freret offers is room to grow,” Ruiz said. I had an absolute blast! Great job Woody and all. See you next year.